The most basic laws of historical evidence are very straightforward. 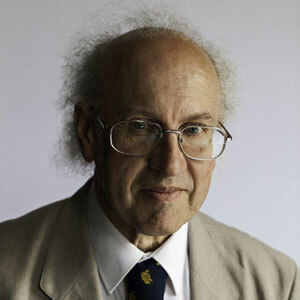 Professor David Dumville, British medievalist and Celtic scholar, Chair in History & Palaeography in the School of Divinity, History & Philosophy, Professor in History, Palaeography & Celtic, University of Aberdeen. The most basic laws of historical evidence are very straightforward. History must be written from contemporary sources or with the aid of testimony carried to a later era by an identifiable and acceptable line of transmission. Many texts which present themselves for our consideration as testimony to Anglo-Saxon history are creations remote from that age. Historical writing may be entertaining if an author chooses to cut corners or ignore the rules of evidence when assessing such works—but it will not be worth the paper it is printed on. Professor Dumville’s words conclude a chapter addressing questionable practices and conclusions of a number of medieval historians that echo, at least in my ears, methods in biblical studies. [The historian] must excavate his texts, not in the spirit of a treasure-hunter seeking little more than the thrill of whatever finds may come to hand, but in as measured and scientific a fashion as possible. In the academic discipline of history, as in archaeology, the time for treasure-hunting has now passed. In spite of occasional lapses, methods and standards of criticism are rigorous and well advertized. There is a significant difference, however. When Dumville speaks of “excavating” texts he makes not a single reference to any “criteria of authenticity” such as “criterion of embarrassment” or “criterion of double dissimilarity”; he makes no reference to “memory theory” as might have at that time been gleaned from Halbwach’s 1980 publication of The Collective Memory. What he means by “excavating” the texts is studying what can and can’t be known about their probable source material and any data (or absence of data) that establishes a clear line of record to the events written about. That is flatly opposed to the assumptions and implications of the diagram above. One cannot reason about the narrative style or presentation of a text in order to apply criteria or memory theory and thereby arrive at a “probable series of historical events”. What excavating texts means to Dumville is establishing clear evidence of the use of sources that can be traced back to being contemporary with the events of the narrative or document. If the author does not set out the evidence that would enable readers to be assured that his or her story or record were derived ultimately from contemporary sources then the work is completely useless for historians who seek to reconstruct the earlier event. What if later narratives agree, though? Won’t that be some indication that they are at least close to accurately representing earlier events? No. Some medieval historians fell into that error (as Dumville would put it) when they concluded from agreements in later sources that those later source agreements indicated that they all used a much earlier set of documents from the very time of the events being studied. Does anyone else at this point think of the arguments underlying the Q source? Or those that attempt to glimpse earlier memories? What of Bart Ehrman’s plethora of sources that, among others, add M and L to Q? We are aware of difficulties and debates over efforts to reconcile various archaeological finds in the region of Palestine with Biblical narratives. I was further reminded of René Salm’s analysis of the published archaeological reports of pottery finds around Nazareth and the virulent attacks many have directed against him as a consequence — on the grounds that he is “not an archaeologist”. Dumville is not an archaeologist, either, but that does not render him incapable of reading thoughtfully, commenting on, and disagreeing with conclusions drawn by specialists and many peers who concur with them. The silver penny’s location, and the name on it, lead to the “obvious” conclusion that it must derive from a certain period well documented in the literary sources. The physical differences from other coins known to be related to those literary sources therefore raise questions. “Extraordinary hypotheses” are advanced to explain these physical differences. Why is one coin so different from the others “surely from the same provenance”? The “minimalist” view: Stripped from the problematic literary sources, the coin is more simply interpreted as evidence that our literary sources are incomplete and that they even fail to inform us of the existence of entire kingdoms. The other problem of procedure concerns the now famous silver penny—from the Trewhiddle hoard, buried in Cornwall c. 875 x c. 895—bearing the name of a King Earned. Careful study of this coin has allowed the seemingly secure conclusion that it is to be compared with the coinage issued by Æthelwulf of Wessex in the 850s and Berhtwulf of Mercia in the 840s. The only known king of the name is the ruler of Northumbria to whom our twelfth- and thirteenth-century sources attribute a lengthy reign within the period 806-42. This king is well represented by an appropriate coinage. Neither the form nor the style of the Eanred silver penny seems to suit an equation with a Northumbrian king of the first half of the ninth century. Furthermore, G. C. Brooke gave it as his opinion that ‘the style of the coin seems . . . to prove it to be an issue of the Canterbury mint. The historian, for all his wish to know more about his research area, is obliged to confess ignorance, that the literary sources available sometimes simply do not justify conclusions we would like to make about our question of interest. There are no back-up methods to fill in the gaps left by the absence of contemporary sources. There are no appeals to criteria of authenticity in the literary texts. There are no speculative exercises, however “intelligently guessed”, in memory theory. There is only the humble admission of ignorance. After all, the most basic laws of historical evidence really are very straightforward. Dumville, David N. 1987. “Textual Archaeology and Northumbrian History Subsequent to Bede.” In Coinage in the Ninth-Century Northumbria: The Tenth Oxford Symposium on Coinage and Monetary History, edited by D. M. Metcalf, 43–55. BAR British Series 180. Oxford: B.A.R. Posted on 2019-02-10 22:01:52 GMT+0000 by Neil Godfrey. This entry was posted in Historical Methods, Historical Sources and tagged Biblical Studies, Criteria of authenticity, Historical Method, memory theory, Minimalism. Bookmark the permalink. I wonder if this is possible even in the medieval era. It certainly isn’t in antiquity. Once again Roger Pearse jumps in with a dogmatic assertion that I expect from his previous record will at no point be backed up by argument or engagement with the contrary argument in the post in question. Such is the style of the “true believers”. If by “what is possible” you mean finding support for your beliefs or the narratives you treasure, you are correct. But you have just read a post about a historian’s explanation of what is possible and what is not possible and you simply assert the contrary? Oh dear. I look forward to your account of the reign of Tiberius, written without reference to Tacitus, Suetonius, Josephus or Cassius Dio. Roger Pearse: It would be possible, although unusual, to create an account of Tiberius’s reign without reference to the authors whom you list. For evidence of the many contemporaries of Tiberius who writed about him, see, e.g., https://celsus.blog/2012/10/14/ten-reasons-to-reject-the-apologetic-1042-source-slogan/. Furthermore, adopting more critical approaches to sources is harsher against the Gospels as opposed to Tacitus, Suetonius, Josephus or Cassius Dio. Why is this? Because the gospels are anonymous, and their authors provide no discussion (with partial exceptions of GLuke and GJohn) about whom they collected their information from, how they decided that their sources were reliable, and whether there were alternative accounts that they heard about but rejected. In contrast, the four historian whose names you mention took pains to name themselves, discuss how they gained information, and at times recorded information that they did not believe. The Gospels, in terms of their structures and style (with an omniscient narrator describing a few connected incidents in a person’s life, with little effort made to explain sources) more resemble Greek and Roman novels than Greek and Roman histories or biographies. Are the accounts of Tacitus, Suetonius, Josephus or Cassius Dio of the reign of Tiberius written ‘with the aid of testimony carried to a later era by an identifiable and acceptable line of transmission’?? I suspect the answer that is “what does that mean, precisely?” or “it’s subjective”. But it would be utterly insane even to attempt it. The whole demand for “contemporary” material is nearly always deployed as a tool to dispose of inconvenient evidence, and even sometimes to then deploy an argument from absence of evidence. We all want information from as close to the facts as possible, as well-informed as possible, and as unbiased as possible. In the modern era we have so much information that a rule excluding non-contemporary accounts is merely a convenience. They’re not likely to be based on anything that we can’t actually get directly ourselves. But in ancient times when 99% of sources are lost, you just can’t do that. Obviously a description written 2 centuries later is less useful than one written at the time; but how if you only have the 2 centuries later account? Do you ignore it, because of some a priori principle? That would be nuts. No: you accept it, and use it, with awareness of the limitations. A simple example would be the “New History” of Zosimus, written by a financial official around 550 AD, which is our only source for events in Britain after 396 AD. He lived in Constantinople. Britain was far away. The Roman empire in the west had collapsed a century earlier. He was in no position to have much good information, in a way. Worse, he was a bigoted pagan who hated the Christian empire. But he had the now lost history of Dexippus, so he knew more than us. Do we ignore that? Only a fool would do so. You work with what you have. The same applies throughout ancient history (although some periods, like the 3rd century, are really bad). You work from what you have. Tacitus hated Tiberius like poison for introducing the practice of informers, which had been so awful during the recent reign of Domitian. But as an ex-consul he was right in the centre of Roman life. His family and his friends all had people who remembered the period. He was incredibly well-informed, compared to us. Why the heck would anybody but a moron exclude his testimony? Yet he doesn’t pass the test above. Which tells us, not that Tacitus should not be used, but that the writer above isn’t thinking about our period. All fairly obvious stuff, of course, but it bears saying. Of course a point arrives at which knowledge has been lost and legend appears in its place. So one has to be a little wary. But a century is fine. In my experience anybody who is trying to exclude evidence has a theory he is peddling, for which said evidence might be inconvenient. Roger Pearse: The later historians whom you discuss and the Gospels are both written later than events that they purport to describe, it is true. 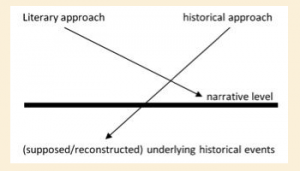 But the later historians whom you discuss can be solidly identified as people within their societies at a given time, so that we can understand how they would have gained access to information (as government officials), what biases they had (as opponents to various emperors and imperial policies), and how long after events they were writing. The Gospels, in contrast, do not have such controls about their authors unless one rely upon later Church tradition (such as Papias, whom Eusebius insulted as not very intelligent) and/or scholarly guesses. Suetonius may have been the Perez Hilton of his age, but at least we have outside confirmation of an Emperor named Tiberius and an island called Capri. In contrast, Papias’ account of a bloated Judas goes far beyond salacious gossip into preposterous fantasy. The relative merit of the two sources should be judged accordingly. Roger Pearse: Furthermore, as you admit, Zosimus was working from Dexippus’s writings. Yet Gospel authors did not identify from whom they gained information about Jesus, excepting Jewish prophets, whose writings were claimed to predict Jesus’s deeds. Simply ranting about how “nonsensical” or “crankish” a view is because it posits something you have never learned anything new about since adolescence while failing to demonstrate a minimal awareness of the actual arguments and evidence used and the point actually made, — all of that simply makes you a troll. We expect more from those with doctorates. At least with doctorates from accredited institutions. In fact historians themselves have compared ancient history with contemporary history, all your snickering about abundance of contemporary sources notwithstanding. Historians — genuine historians in history departments — know damn well that writing a political or diplomatic history about today’s events is almost impossible to do simply because the records are NOT yet available and won’t be for in some cases close to 100 years. That indeed makes ancient history’s problems not all that dissimilar to those of the historian of the contemporary world. You have no idea it seems to me how ancient historians today do study Tacitus and how they need to study his rhetoric and that they simply cannot take his word for granted without good reasons to do so. Do a search on this blog for Tacitus and you will see some posts where I address the way ancient historians today — at least those who are the critical leaders in their field and not just popular literature hacks writing up some romantic reconstruction of what they would like to believe — approach Tacitus, and do the same for Thucydides, and Suetonius, and Livy. I will be posting more in coming weeks. Now, “a century is fine”? What sort of historian says that? You won’t find any such unscholarly, totally school-boyish, notion in the works of half way decent critical ancient historians today. Have you ever read a thing by A.J. Woodman, M. I. Finley, T. P. Wiseman, and a host of others discussed here? Cheers, Roger. I agree one shouldn’t deploy an ‘argument from absence of evidence’ when contemporaneous material is not available, or as a tool to dispose of inconvenient evidence, though I suspect it it is sometimes or even often employed to counter arguments there is very good or even ‘excellent’ evidence for person X. … when there isn’t very good or even good evidence for person X. Feel free to ignore Roger Pearse. He is a troll. He has indicated no interest at all in engaging with arguments challenging his world view. So long as he can keep repeating his own beliefs; and he sees any viewpoint he cannot understand or that he thinks he is against as an invitation to sing and dance his own beliefs in return — he is as happy as a pig in mud. I like pigs as intelligent creatures (they can play computer games as we all know by now) but I cannot abide mud. Omg! So we have no contemporary evidence. We do have narratives from two hundred years later and that is good enough for….??? Who, exactly? A child’s history of the Druids and Boudicca? Come on, Roger. Okay, I have shown you the door, but if you have a serious response do feel free. I will allow it to be published here. Give me the name of any historian (not a theologian or biblical “historian) who relies upon narratives 200 years removed from the time in question. Prove your point. Your claim is absurdly unfounded, otherwise. Oh my god, Roger. Did you even read the post? I don’t think so. Of course we use works written some time after the events and persons they write about. But you see, that’s not what Dumville was complaining about. Kindly demonstrate that you have read the posts when you comment. Do engage with what is actually argued and pointed out in the posts, and not with your own vacuous imaginations about what you assume we must have said. So far you are trolling. Thanks for another good post on the rigour of the modern historian. Anglo-Saxon and (mostly English) Medieval history are my main areas of interest, so I found this one even better than the last. The reader above may be interested to know that given the fact that records from the period were written on parchment rather than paper, many have lasted much better than later records. Smyth on Asser’s Life of Alfred, 1995 & 2002; Galbraith on the same, 1949; Stevenson likewise, 1904. I used to think Biblical/NT Studies were singular with regard to the problems and behaviours raised on this blog. I have since come to expect it of every subject I take a fancy to; in this case King Alfred and the Anglo-Saxon era. Similar splenetic is everywhere, it seems. The moles are supposedly comprehesively whacked, only to pop up again a generation later to point out that yet again no such comprehensive whacking had taken place. At least in the other historical disciplines there are significant moves to engage with the traditional problems of their methods. Historical Jesus scholars, on the other hand, appear to be blinded by their assumptions and continue to look for new criteria or tools that they hope will yield the holy grail. Tacitus’ Annals are full of interpolations until the era of the Medici when the forger and faker Poggio Bracciolini rediscovered them; therefore, they cannot be used to reconstruct the time of Tiberius, as already figured by John Wilson Ross and Polydore Hochart in the Victorian age. Interpolations are a problem, but even without them Tacitus would be problematic for the same reasons that render other Greco-Roman historians problematic. An interesting aspect of this is that what we realize today is that much of Mediterranean ancient history is a big fat mess. The reality is that the record of ancient Mediterranean history as recorded by ancient writers is filled with errors and misconceptions. And what we know is that in many cases, ancient people were hugely confused about their own history and the history of their neighbors. In addition, we also know that many such cultures intentionally manipulated their own history for various reasons. History at that time was often used as a political tool. For one thing, the Greeks and Romans had a fondness for “ancient cultures” and “ancient wisdom”. Knowing this, many surrounding cultures (including the Jews) invented fabricated ancient histories and claimed to be much older than they were. In some instances regions that were practically in the stone age when conquered by Alexander the Great were able to, two or three hundred years later, convince Greeks and Romans that they their cultures possessed ancient knowledge that surpassed the Greeks, when in fact their knowledge had come to them from the Greeks. There are tales of ancient mystics and philosophers from hundreds of years before Plato, that are in-fact patterned in Plato. And we see some of this in the Jewish writings as well, but it wasn’t just the Jews, this was happening across the Middle East and Persia. And in some cases it may even be that the later writers of these tales themselves believed them. They weren’t necessarily lies. You had some poor and relatively uncivilized area, it was conquered by Alexander’s forces, knowledge and learning were introduced into the culture, and 200 or 300 years later people honestly didn’t understand their own origins and were telling stories about how their ancient forefathers possessed knowledge of mathematics or astronomy or something from before they were conquered, that in-fact was knowledge that had been taught to them after they were conquered. And when these people told this history back to the Greeks and Romans 300 years later, those Greeks and Romans believed it. This is the exact issue with the age of the Jewish scriptures. Philo, for example, argued that Jewish culture and scriptures was older than the Greeks and many Greeks believed him, and Philo himself no-doubt believed it. So when people approach the issue from the literature, it looks like there are all of these sources that confirm these claims, but in many cases it’s a bunch of circular confusion. History was written for elites who had the time to occupy themselves with the “pleasure” of the entertainment evenings when invited persons would read their poetry, sing, and some even read what they had written about “the past”. There are indications in the writings of those “historians” that they knew they were writing very much for the purpose of entertainment as much as to “instruct” in the “ways of humanity”, to teach reverence to the gods, to glorify their emperor. The mere appearance of criticizing a reigning emperor was never an option, etc. Poetry as much as “history” would also “glorify Rome”. And reading these “histories” we often find indications that their authors themselves did not necessarily “believe as fact” the events they were claiming were told about their past, especially the distant past. As often as not such stories were presented as ‘what was believed or told’ and ‘what the historian had heard’.